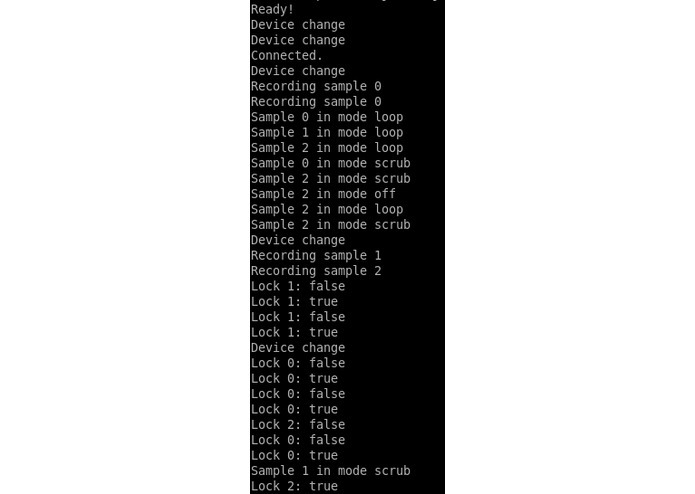 Starting from the idea of using the hands to control multiple independent sounds, we developed this into a 5-track looping/scrubbing sampler, controlled exclusively through the use of the hands, sensed by the Leap Motion. Hilarity ensued. While the tool could be extended to support loading and saving for actual production of music, it is, in its current state, primarily intended as an amusement/toy to make funny sounds with. We are especially proud of having designed a reasonably intuitive user interface for controlling so many parameters at once. 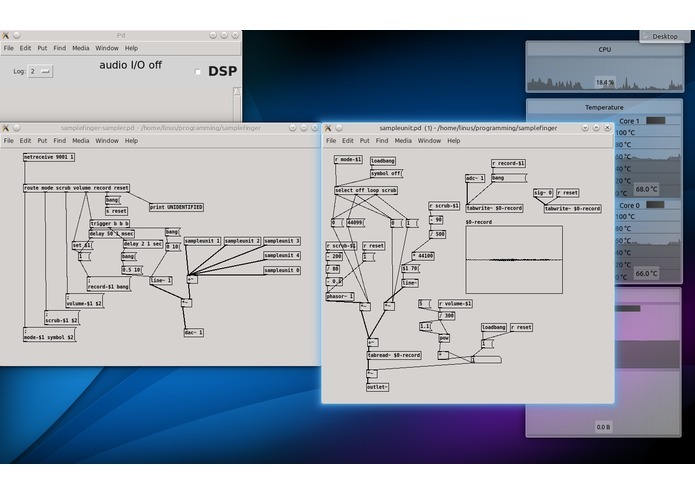 The user interface is based almost entirely on the influence of hand movements on sound, with only minimal visual feedback provided by terminal output and some numbers visible in the PureData program. The screenshots do not do it justice -- you have to hear it to understand!